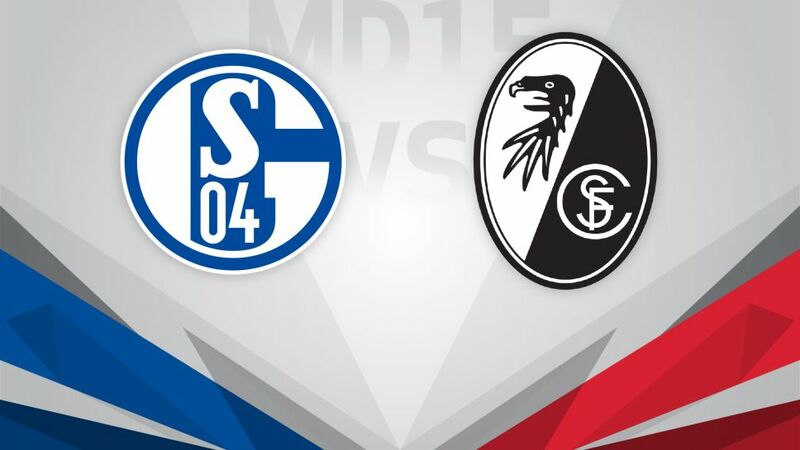 With both sides experiencing similar fortunes so far this season, both FC Schalke 04 and SC Freiburg will be hoping to take all three points when the two teams meet at the VELTINS Arena on Saturday afternoon (kick-off 15:30CET/14:30GMT). Schalke's season has been about runs – both good and bad. After starting out with five straight defeats, they turned on the style with a seven-game unbeaten streak, which ended with defeat to RB Leipzig. That was followed by another reverse to Bayer 04 Leverkusen, in which they also lost defensive lynchpin Naldo to a red card. Coach Markus Weinzierl will be hoping to stop that sequence of defeats before it becomes another 'run'. Christian Streich's Freiburg leapfrogged the Royal Blues in the standings after edging past a plucky SV Darmstadt 98 on Matchday 15. They have only registered four points on the road all season, but the Black Forest outfit may also have revenge on their minds after being pipped to a place in the UEFA Champions League by the Gelsenkirchen club on the final day of the 2012/13 season. Promoted side Freiburg have a 10-point cushion over Ingolstadt in 17th, an automatic relegation place. Only four teams have gone down after winning six of their first 14 matches.Nils Petersen of Freiburg scored as a substitute for the 15th time in his Bundesliga career on Matchday 15. The 28-year-old leads all active players, and trails only Alexander Zickler, who scored 18 goals off the bench.Schalke have failed to score in their last two meetings with Freiburg. In the 2014-15 season they lost 2-0 at the Schwarzwald-Stadion and drew 0-0 on home soil.Freiburg have collected more Bundesliga wins over Schalke (12) than against any other club, and have picked up more points at the VELTINS Arena than any other German top-flight side.In their last five home games against Freiburg, Schalke have been led by five different coaches: Felix Magath, Josef Eichkorn, Huub Stevens, Jens Keller, and Roberto Di Matteo. Markus Weinzierl will be the sixth coach in six home meetings with SCF.The last time Freiburg won at Schalke (15 December 2012), they recovered from a 1-0 deficit to claim a 3-1 victory. It was Huub Stevens’ final game in charge of Schalke.